The advertorial blurb for the Ladygrove part of the plan claims that the majority of green space remains. This sleight of hand is achieved by including areas outside of the playing field. 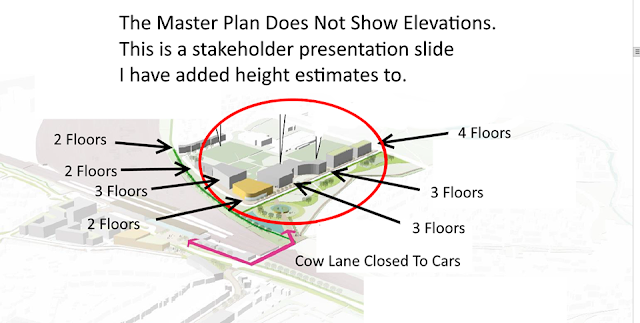 In truth the plans suggest that over half the playing field is simply sliced off to make way for the buildings and road and we lose still more to the cafe and pond. We are reduced to a single tennis court, tiny skater park, tiny play park all crammed together and this is all overlooked by multi story flats! 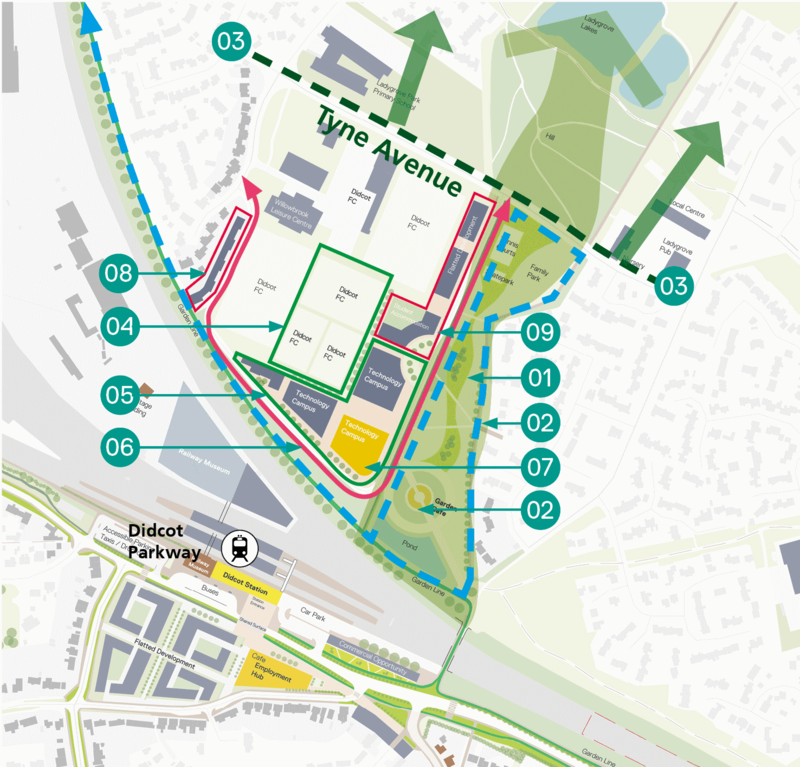 Based on the available evidence the plan is quite clearly one of turning our playing field into a business park with walks for rail commuters to have a pleasant walk to work and a place to hang out at lunch. 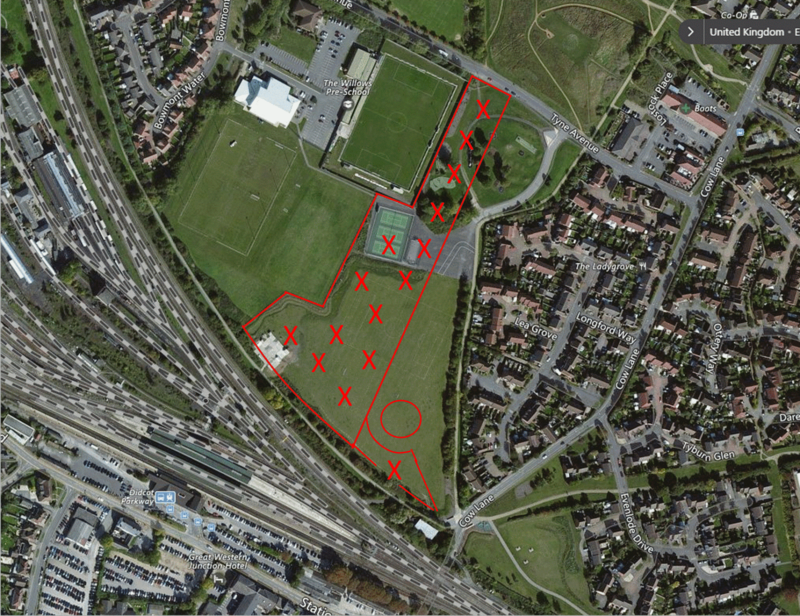 The open green spaces and public amenities for our children and our community are butchered. "...It will also help to pay for..."
This seems more like taking land from a much loved Didcot park and flogging it off to pay for other schemes. They should be ashamed!